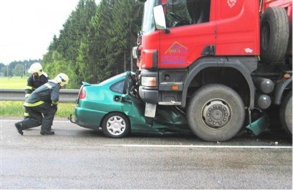 Studio City Truck Accident Injury Lawyers and Wrongful Death Claim Attorneys! We are Trusted Personal Injury Lawyers With More Than 40 Years of Experience in Studio City and all of Los Angeles! Our Studio City, Los Angeles truck accident lawyers offer expert legal assistance for those injured in a truck, car, motorcycle or any other kind of motor vehicle accident. We extend our legal expertise to distraught family members and relatives of those killed in a truck collision caused due to the negligence of truck drivers resulting in wrongful death claims in Studio City and anywhere in Los Angeles. If you need assistance with your personal injury case or in a wrongful death claim case of a loved one, contact us now for aggressive yet compassionate legal representation that will assist you with medical care, work to resolve your property damage claim and get you maximum compensation for your damages - physical, emotional and financial. Just call us at 818-222-3400 or 1-866-INJURY 2 now (after hours, dial “1”) to tell us what your problems and needs are so we can start working right now to help you. You can contact us 24/7 for a completely FREE & CONFIDENTIAL INITIAL CASE CONSULTATION & EVALUATION. Find more information about our experienced truck accident personal injury lawyers on our home page. To know about our lawyers in detail, browse through our lawyers’ profiles, and our personal injury and wrongful death case testimonial pages for details on the cases we have successfully recovered maximum compensation. Once you have done this, please call us at 818-222-3400 or 1.866 INJURY 2, or simply click here for our 24/7 contact intake. A neighborhood in the city of Los Angeles, CA, Studio City is located in the San Fernando Valley near where the 405 and 101 Freeways intersect. It is named after the studio lot that was established in the area by film producer Mack Sennett in 1927, now commonly known as CBS Studio Center. It is bordered on the north by Valley Village, on the east by Toluca Lake and Universal City, on the south by Hollywood Hills West, on the southwest by Beverly Crest, and Sherman Oaks on the west. Studio City, Los Angeles County is a historic neighborhood, which is known for a number of celebrities who are often seen or who reside in the area. A few celebrity residents include television and movie actor Neil Patrick Harris, Mila Kunis, actress and pop singer Miley Cyrus, Ryan Gosling, Vanessa Hudgens, Zac Efron, Selena Gomez, Gary Cole and many more. 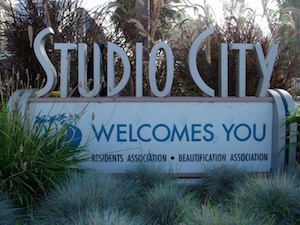 Studio City is a popular area for both young and old, with many wonderful restaurants, shops and theaters. 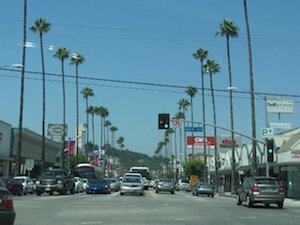 It has many easy routes to connect with the other side of Los Angeles and Beverly Hills which are on the south side of the Hollywood Hills, including by driving on Laurel Canyon and Coldwater Canyon. We possess more than 40 years of experience in successfully resolving countless truck accident personal injury cases and wrongful death claims not just in Studio City, but in Los Angeles and all throughout California. We can assist you in protecting your rights and complying with required time deadlines and other rules imposed by the California Department of Motor Vehicles (DMV) and insurance companies. Contact Us now for Your Free Case Consultation and/or Evaluation. Contact us is quick and easy and FREE! Simply fill out the details of your personal injury case or a wrongful death claims case of your loved one, and our Studio City truck accident injury experts will get back to you immediately. And if you prefer, you can even send us your questions by email. Our email address is info@WalchLaw.com. We also work on a contingency fee on injury accident cases which means there is NO charge and NO fee until you WIN!! !